​AUSTIN – The University of Texas System Board of Regents made a pair of pivotal decisions recently that will shape Austin for years to come. The board approved spending $392 million from its endowment to build nine projects, including an Energy Engineering Building on the UT Austin campus. 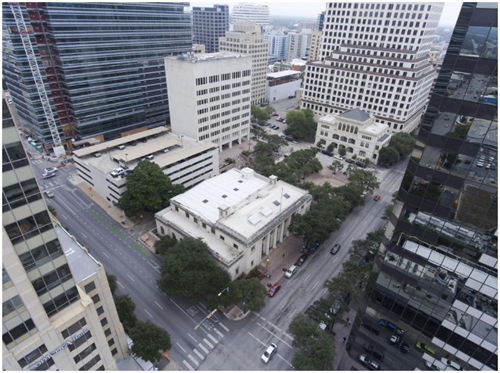 Regents also instructed system staff to negotiate a ground lease with Trammell Crow Co. to redevelop a downtown block on Sixth St., turning it into dense mixed-use development that may help bridge the divide between two of Austin's most popular entertainment districts—East Sixth St. and West Sixth St. The engineering facility, which will receive $100 million from the endowment to help cover its estimated $160 million price tag, is the most pressing need in the $392 million list of capital projects. As for the lease with Trammell Crow, the block bordered by West Seventh, Colorado, West Sixth and Lavaca St. is a prime piece of downtown real estate. System officials expect most of the current buildings will be razed and replaced with residential, commercial and retail space.